Enwreathe blade with blackflame, born of the similarly-hued flame that smolders within her. 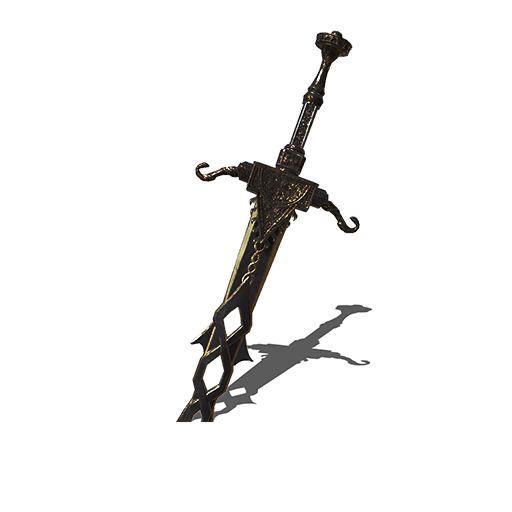 A drop from Sir Vilhelm, located in the library at the end of the Corvian Settlement inside the Painted World of Ariandel. All other moves also contain Dark damage, creating split damage. The skill Elfriede's Blackflame gives the weapon a large addition of Fire damage. While this sadly creates three-way split damage, the buff provides a substantially greater attack boost. These values are the amount of stamina the weapon uses when performing the listed moves. R1 — etc ? — ? N/A ( ? — ) ? — ? R2 — etc ? — ? N/A ? — ? Charged R2 — etc ? — ? N/A ? — ? Roll — R1 ? N/A ? Dashing or Backstep — R1 ? N/A ? Forward + R1 ? N/A ? Forward + R2 ? N/A ? L2 — etc ? ? — ? ? Strangely the weapon Skill will add Fire damage to your weapon. This is inconsistent with other instances of it as the Black Flame spell is entirely of the Dark element.